The American Indian Science and Engineering Society is helping Native American students connect with STEM careers, thanks to support from Wells Fargo. 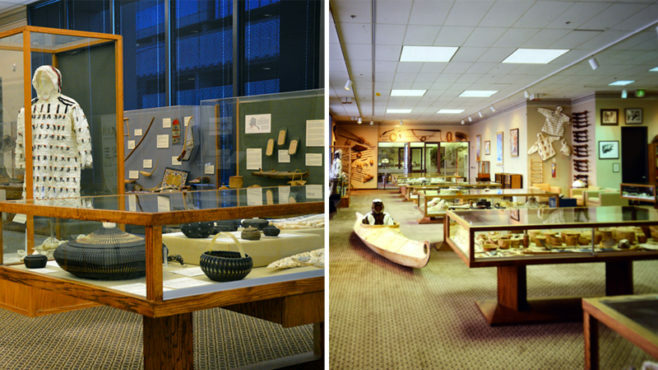 Wells Fargo’s Alaska Heritage Museum in Anchorage has more than 6,000 Alaska Native artifacts, thanks to efforts to keep them in their place of origin. It’s a boat! It’s a plane! It’s a Wells Fargo banker! Wells Fargo's Nili Sundown travels thousands of miles each year — via plane, boat, and even snowmobile — to ensure her customers have the financial resources they need to survive the wilderness of rural Alaska. The Makah tribe's fishing dock in northwest Washington is ready for business — and spurring economic development in the region.